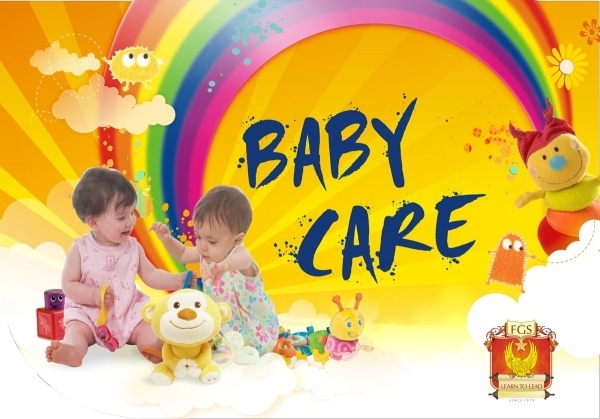 Daycare centers are an important facility for working parents. 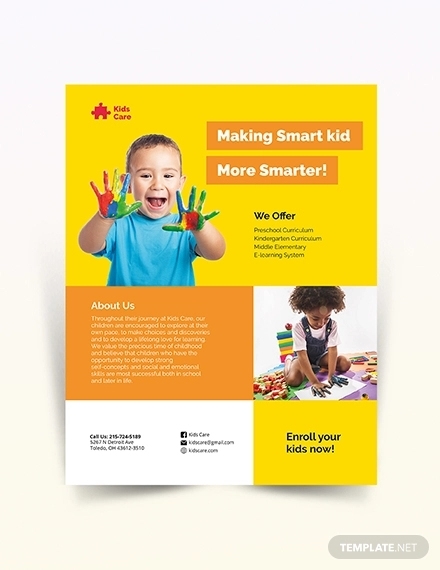 It’s a secure place where kids are taught how to play games and also receive beginner-level education – basics such as numbers and alphabets. 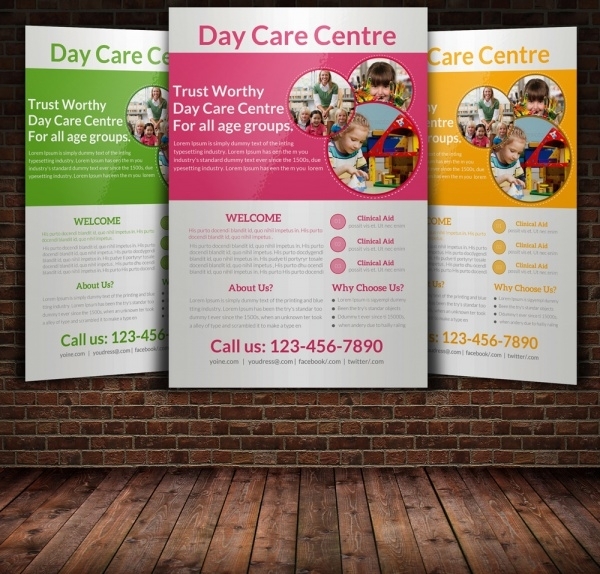 The success of a daycare center, just like any other business, depends largely on how it markets and promotes itself. 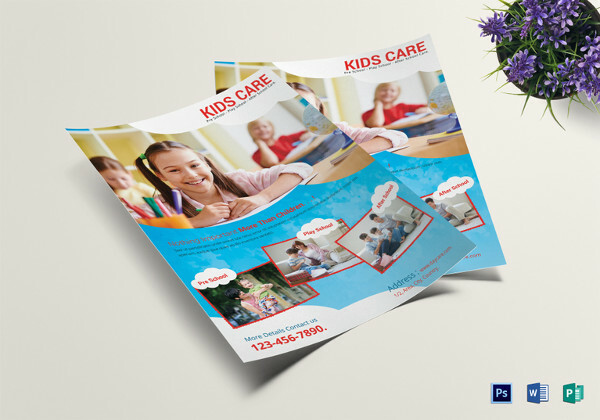 PSD Flyer Designs are taught to be the perfect tool for publicizing a daycare outlet. 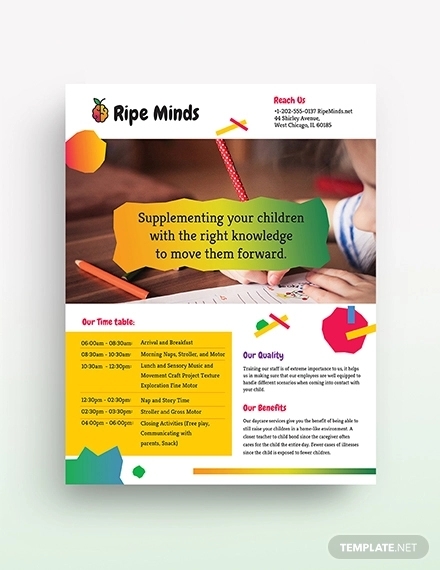 We share some best templates which you could use. 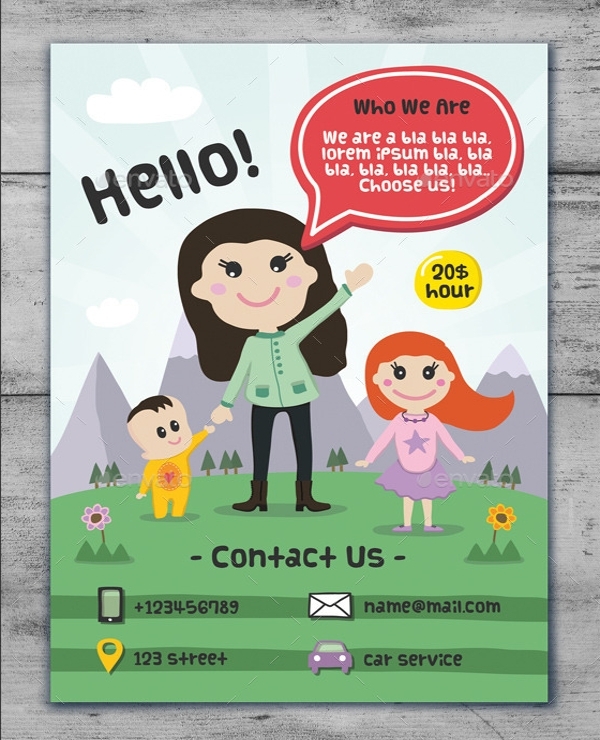 With the help of some cartoonish caricatures, this daycare template appears to be really eye-catching and bright. 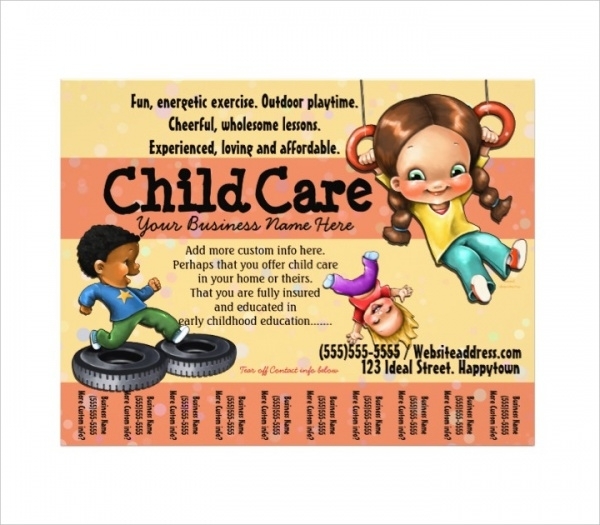 Would be a good idea to let your daycare advertise itself on this one! 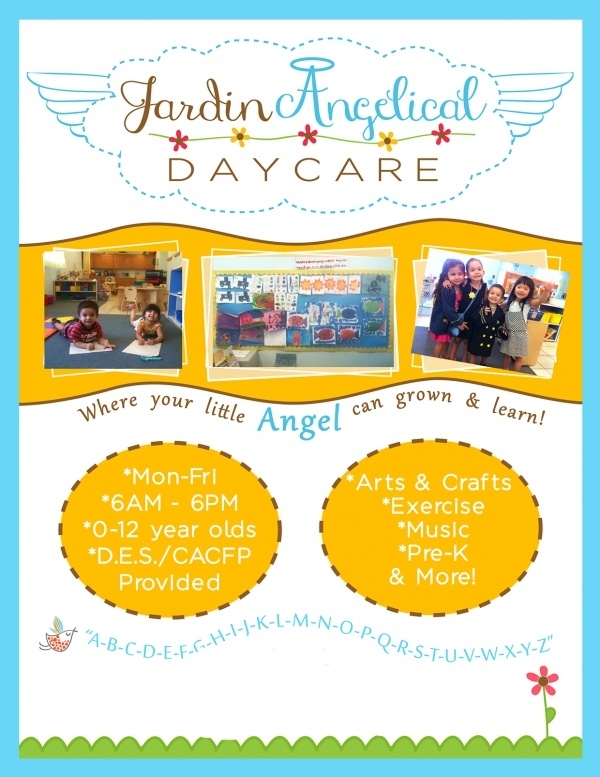 Use this daycare flyer template to tell people about your services and offers. 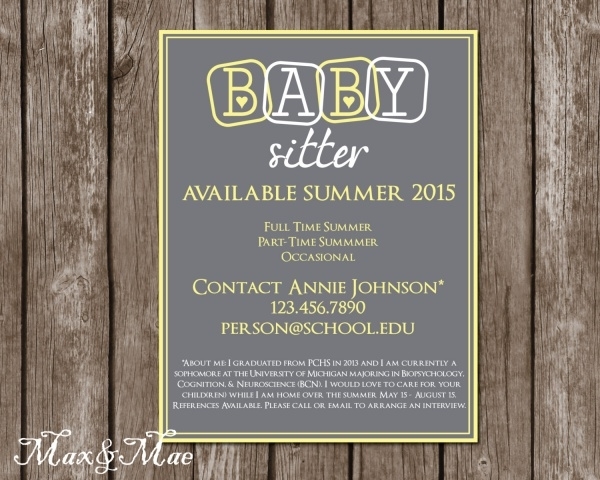 This template is customizable and fully editable. 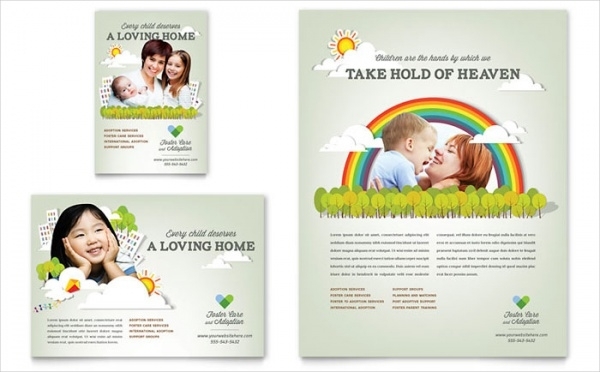 A dash of colors is always a nice thing and catch the eye instantly. 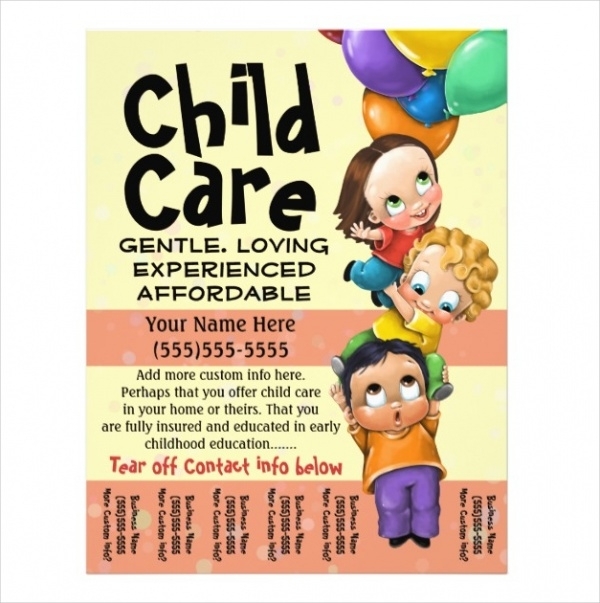 Take this daycare flyer for example. 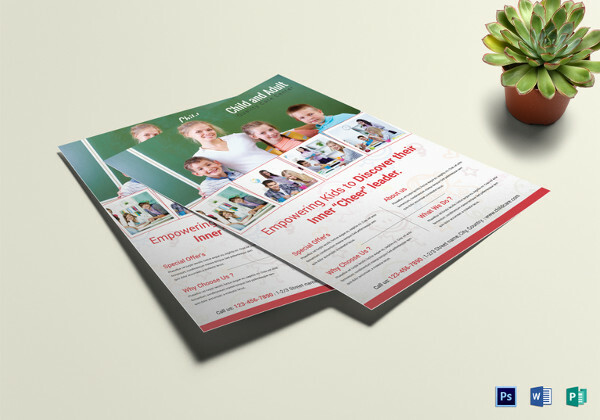 Available in dual colors, you could use this template to create a flyer as well as a magazine advertisement! 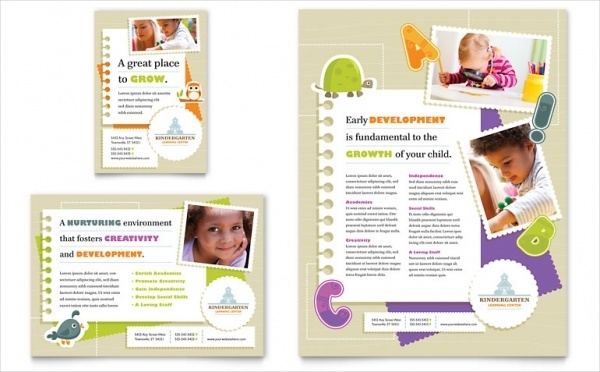 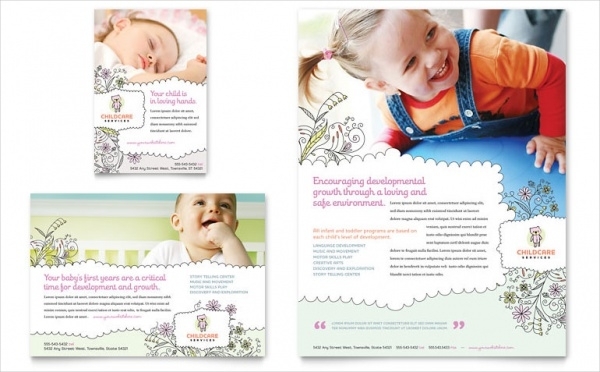 Check out this modern-style baby daycare template . 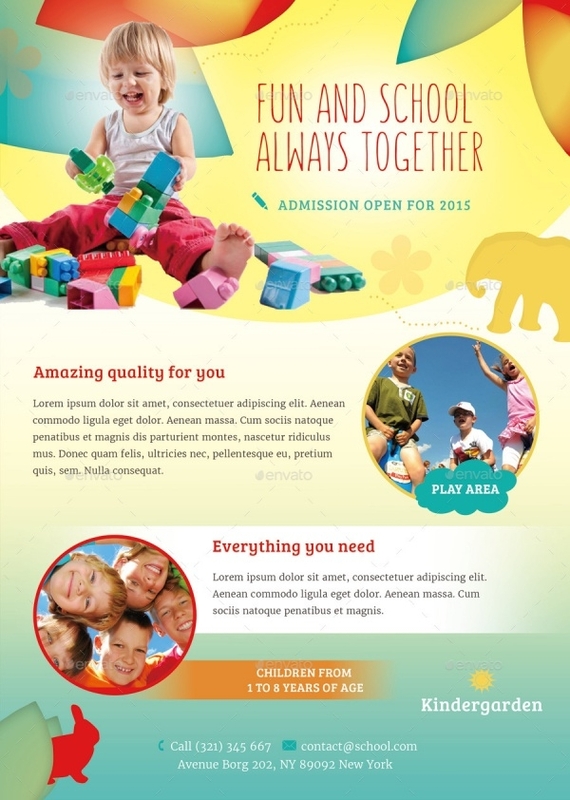 There’s ample space provided for you to insert text, graphics, and images of choice. 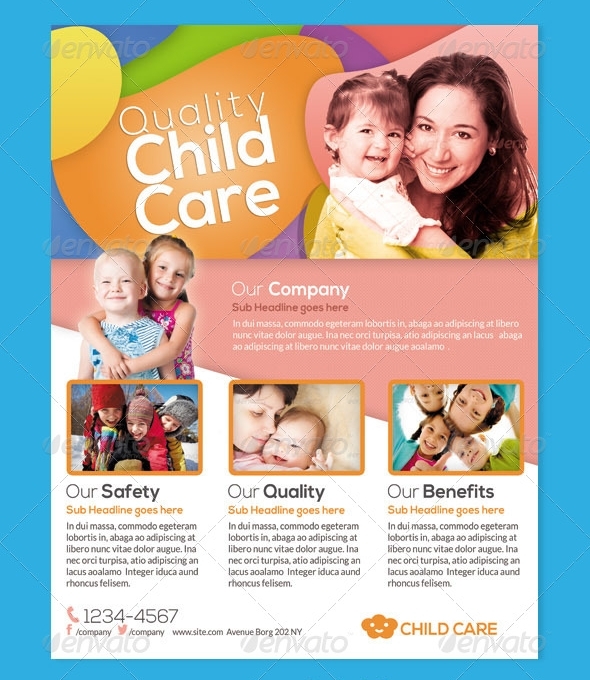 This one is an ideal sample for agencies which specialize is providing adoption and foster care services. 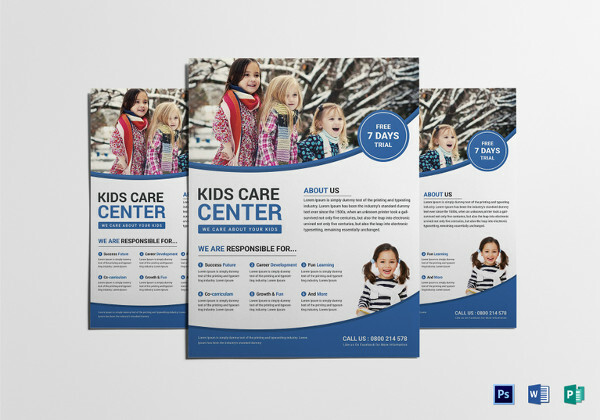 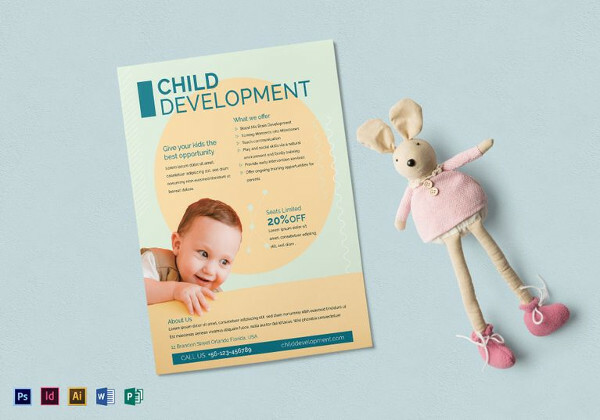 This is a very simple and elegant daycare flyer template which has all the elements and settings to let it be chosen as the ‘one’ to tell the neighborhood about your daycare outlet! 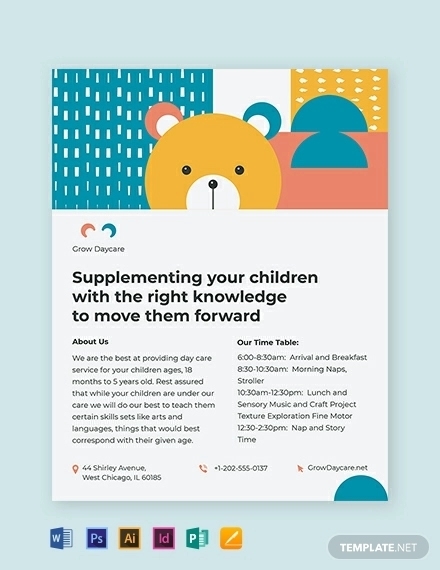 Here’s another excellent design daycare flyer sample which has all the markings for being chosen to become the flyer for a daycare unit. 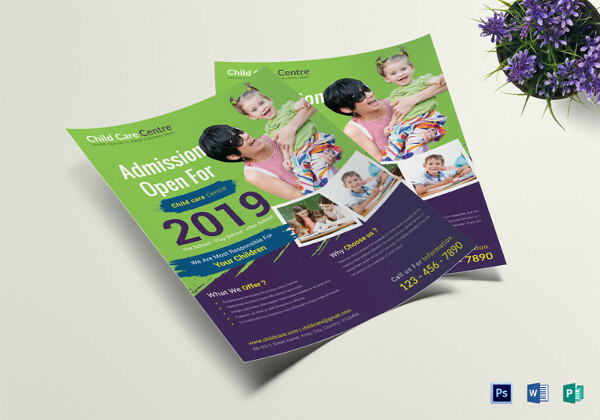 If you’re running a kindergarten section with daycare facilities, well, let this flyer template be customized by you and do the talking! 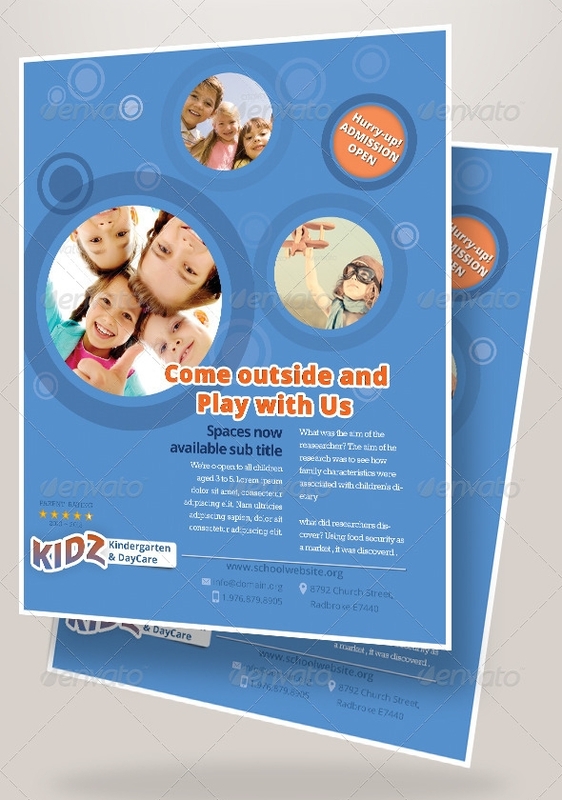 This is a school template which has a kindergarten section which also doubles as a daycare facility taking care of toddlers and kids while parents are out at work or running errands. 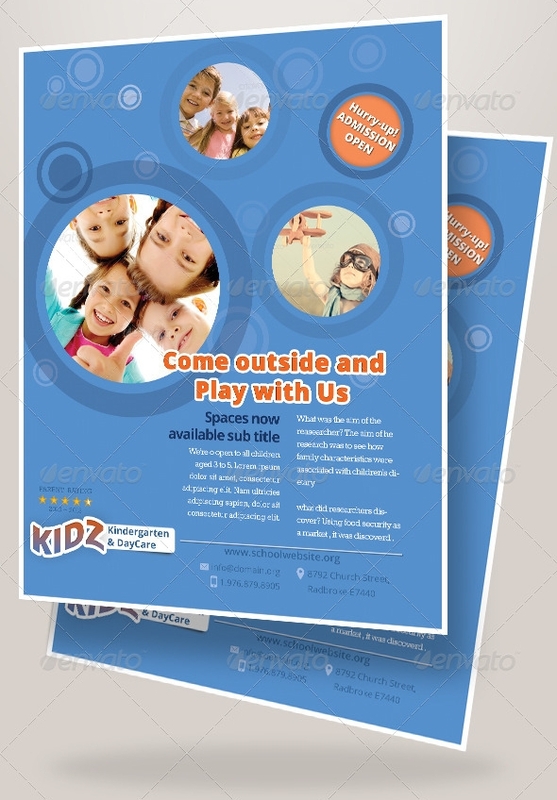 It’s not very difficult to manufacture a daycare flyer on your own. 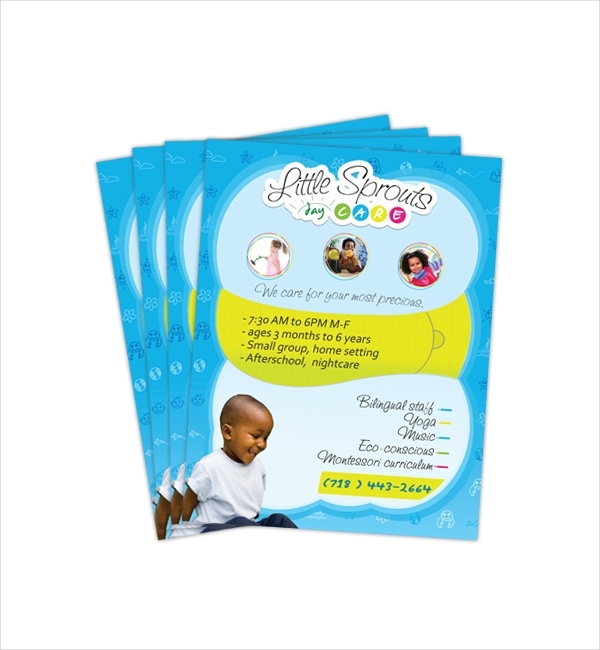 All you need is a list of good options and customization settings which are easy to do. 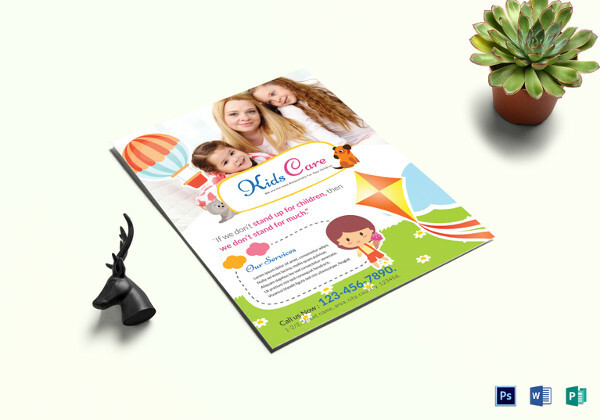 Our compilation of daycare flyer templates accomplishes both the aspects wonderfully. 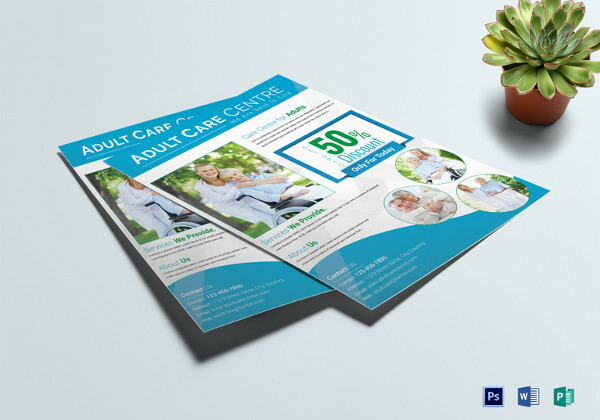 Do a scroll, download your favorite and get working on your Flyer Mockup Design!